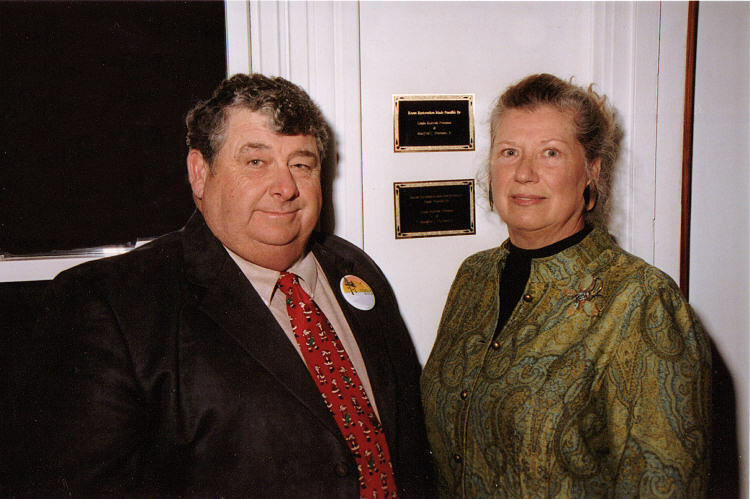 Linda R. Freeman and Manfred C. Freeman, Jr. are two of the most dedicated patrons of the Poquoson Museum. Their generosity prompted the museum to name the Marsh Walk Trail in their honor, as an enduring remembrance of Manfred's grandparents, Edward R. and Emma Moore Freeman. When Manfred advised the museum board of directors about his pledge, he stated in part that his family had a long time connection with Poquoson that bridged the farming and seafood industry communities. He believed that the Poquoson Museum's Marsh Walk offered a connection between these two keys to Poquoson's history. Manfred fondly remembered that his grandfather, Edward "Ed Dunnard" Freeman was a truck farmer who raised potatoes, soy beans and wheat as well as owned a buyboat, the "Manfred L .", named for his father Manfred Sr. and aunt Lelia. This boat was built in Denbigh, Virginia, in 1922 and operated out of Poquoson, Virginia during the Freeman ownership. Sadly, the vessel was destroyed by fire in 2003. Whatever the reason, Linda and Manfred Freeman, Jr. have given a gift that will help the Poquoson Museum create a multi-faceted learning experience on its campus. The Freeman family donation takes the museum a step closer to becoming Poquoson's major visitor attraction. The Poquoson Museum members wish to thank Linda and Manfred for their generous donation and dedication that will enable the Marsh Walk to move forward on an effective time table. © 2004 Poquoson Museum. All rights reserved..